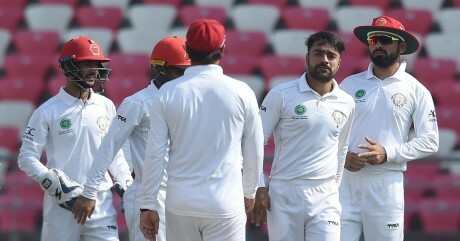 Dera Done, Afghanistan national cricket team won the first test match against Ireland, which was the alone test match between these two teams and it was played in Indian city, Dera Done. 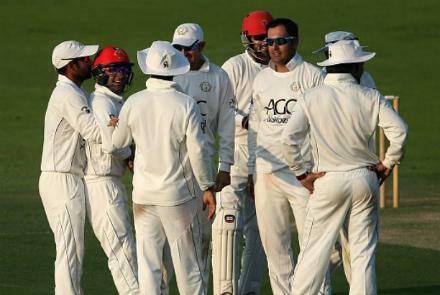 The Afghan team won the test match by 7 wickets. This is the first victory of Afghanistan in the long format of the cricket and it got this victory in its second test match. 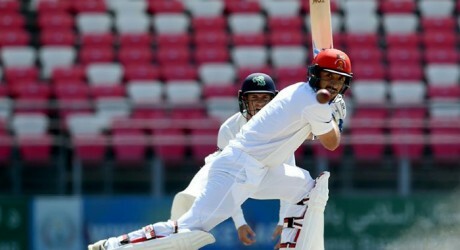 When Afghan team was chasing the target of 147 runs, it lost its first wicket on the closing of third day and on the Monday morning, Ahsan Ullah got the chance at the individual total of 18 runs, when Stuart Thompson dropped his catch on the ball of George Dockrell at the extra cover position. After that Ahsan Ullah started marching towards the target with inform Rehmat Shah. When they were 3 runs away from the target, they lost the second wicket and their partnership of 139 runs was ended. Rehmat Shah scored 76 runs and he lost his wicket on the ball of Cameron Dow. On the very next ball, Muhammad Nabi tried to take a single but unfortunately he was run out. However, Hashmat Ullah Shahidi hit the winning boundary and he made his team to win the first test match. Ahsan Ullah scored 65 runs and he remained not out. Rehmat Shah scored fifties in both innings and he was declared man of the match. The leading spinner Rashid Khan also played the important role in the victory of his team and he took 5 wickets in the second inning of Ireland and restricted them to 288 runs.